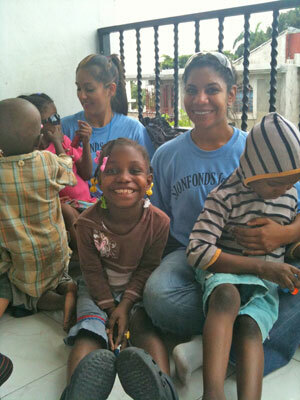 We held a very successful clinic in a small village on the southern coast of haiti yesterday. It was a “hurricaine day” so school was called off and we were not able to bring in entire classes of kids for dental sealants and fluoride. However lots of parents brought their kids anyway. The dentists pulled a lot of teeth and we treated about 200 people for various infections, worms, diarrhea. We also had several people with severe hypertension. Friday we set up clinic in the midst to the hurricane. It is pouring rain and the clinic is being surrounded by a growing lake. We didn’t think many patients would show up but we were wrong. And we had a number of very sick people including a woman with possible cholera who is receiving an IV on the porch at this moment.